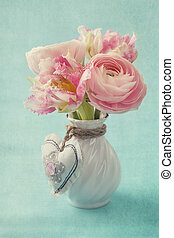 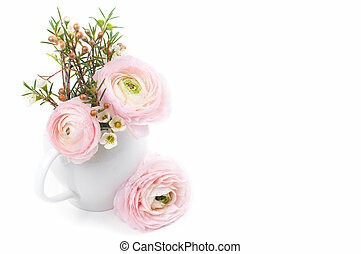 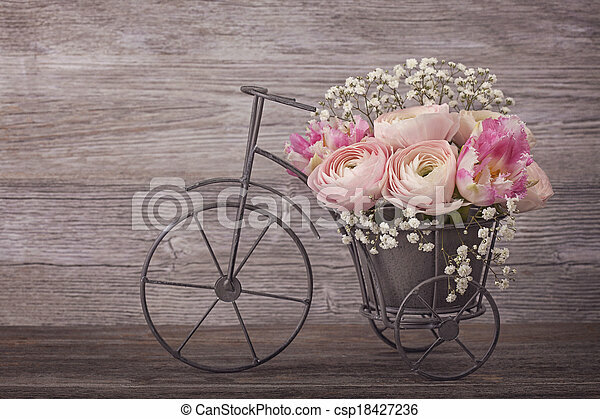 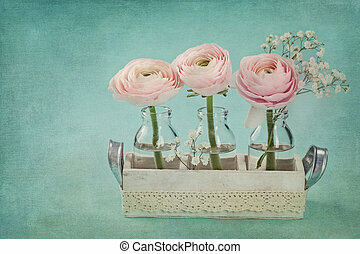 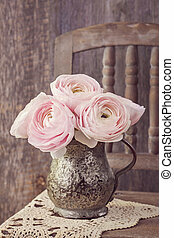 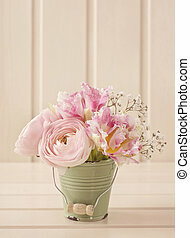 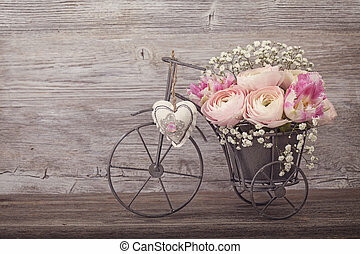 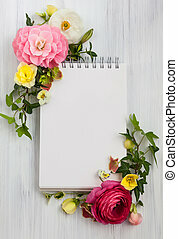 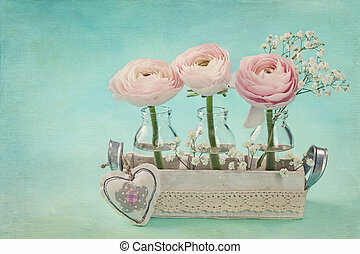 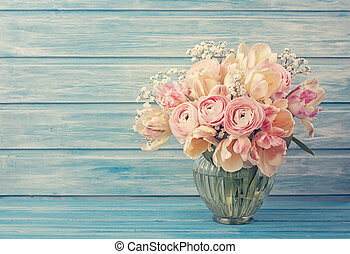 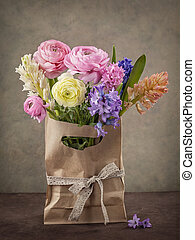 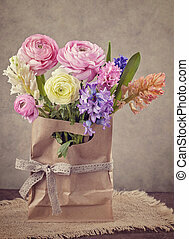 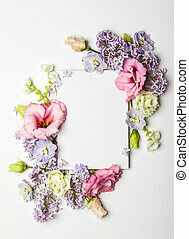 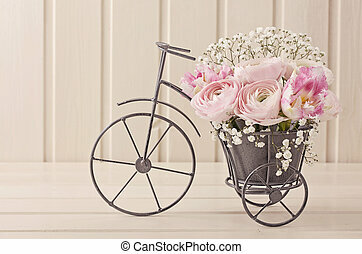 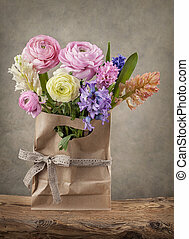 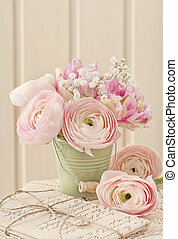 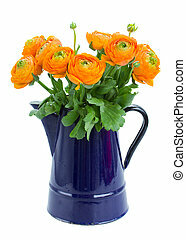 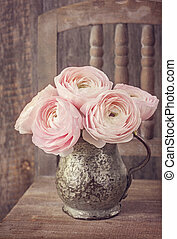 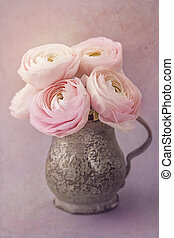 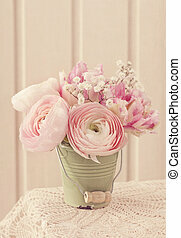 Ranunculus flowers in a bicycle vase. 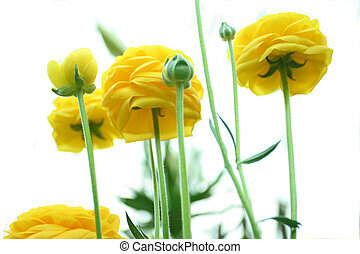 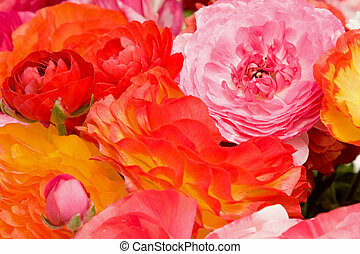 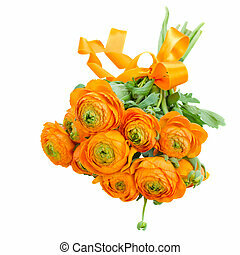 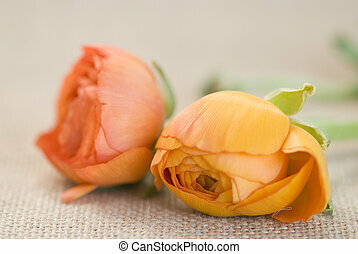 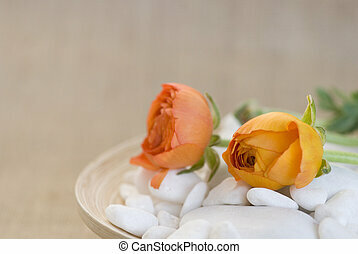 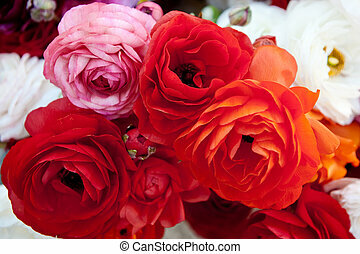 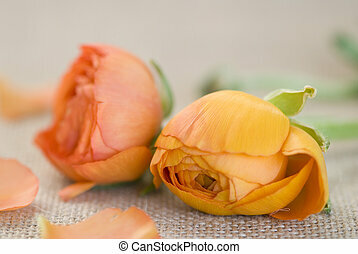 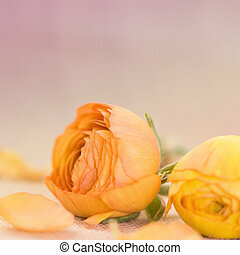 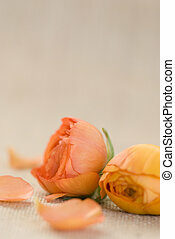 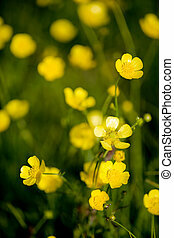 A bunch of brightly colored Tecolote ranunculus flowers. 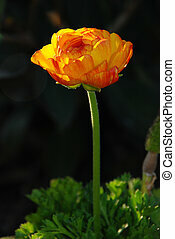 A pretty, orange ranunculus flower emerging from green plant leaves and standing alone in the setting sun light with a black background.